Welcome to our online shop www.BabyBabas.com, where you can buy the biggest and cutest variety of bandana-style dribble bibs, tube scarves, pacifier clips... and soon more products. 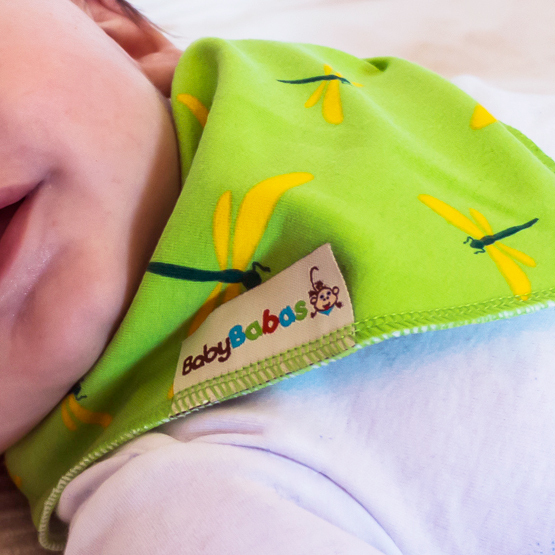 Our bibs are a new and innovative solution for absorbing your baby’s dribble, keeping their chins, necks and chests dry! With so many styles to choose from, you can mix and match to any outfit. We offer the possibility of buying multiple products at the most affordable prices. Our pricing options are simple, the more items you add to your cart, the price automatically reduces per each item. Summer has arrived...make sure you have your swim nappy ready!! They are reusable, eco-friendly and adjust to 3 sizes. This new summer version of the dribble bib is lighter and suited better during those hot summer days. Dribble bibs are a practical, yet still trendy solution for babies and toddlers during teething stages! Our pacifier clips are easy to attach onto clothes or one of our bandana dribble bibs! Your baby would look super cute with our headscarf & matching nappy cover set this summer.